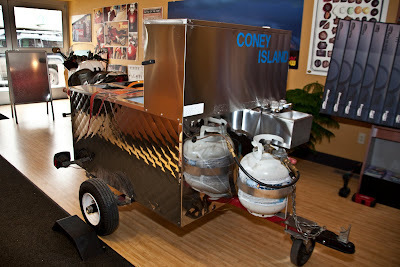 The Coney Island Hot Dog Cart as it looked when Mike brought it in. After cleaning the cart, we prep the flames. 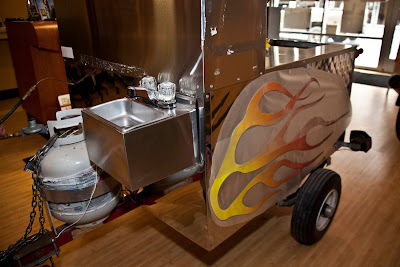 The final application. 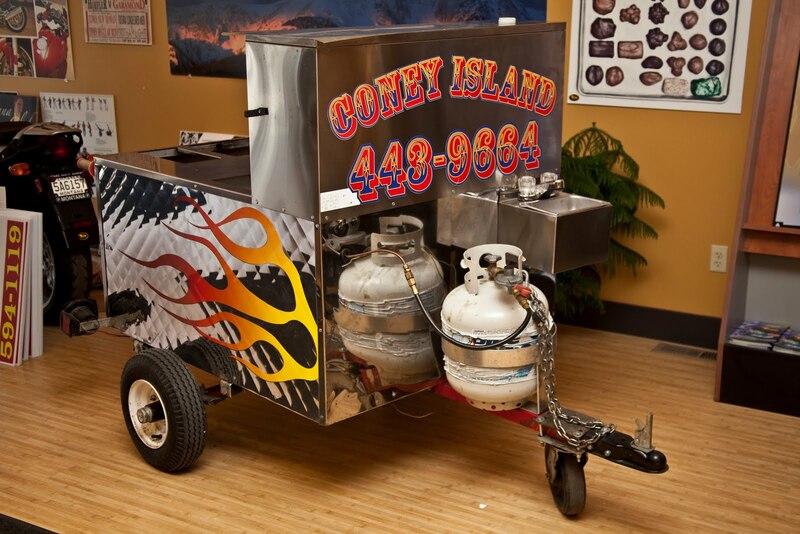 Flames on each side and the Coney Island info on the front of the cart. Cart Number 2 coming soon!